This was on my bucket list for the longest time – a bright red locomotive on a clear, sunny, winter day with the light just so. It took years! 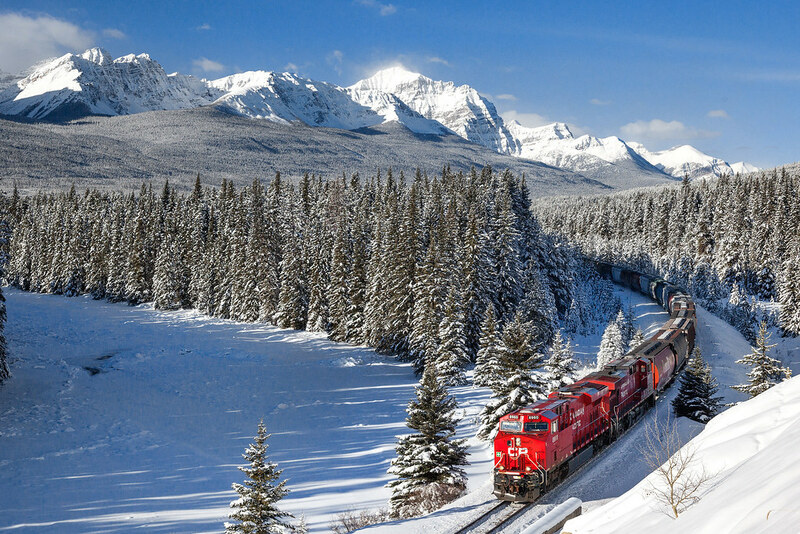 Here, an eastbound empty grain train speeds along the frozen Bow river with the glacier-clad Mt. Temple towering over the peaks of the Canadian Rockies around Lake Louise.